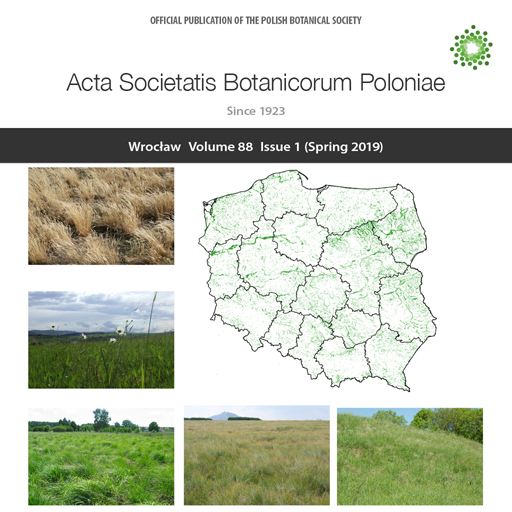 The international journal Acta Societatis Botanicorum Poloniae is published by the Polish Botanical Society, with financial assistance of the Polish Ministry of Science and Higher Education. It is the oldest scientific journal promoting all aspects of plant science functioning continuously (with the exception of WWII) in Poland since 1923. The journal offers Open Access publication of original research papers, short communications, and reviews in all areas of plant science, including evolution, ecology, genetics, plant structure and development, physiology and biochemistry. The list of scientists who have served as reviewers for the Acta Societatis Botanicorum Poloniae journal in the year 2018. The editors of ASBP express their great appreciation of all reviewers competence, dedication, and hard work. Starting from the year 2016, the Acta Societatis Botanicorum Poloniae journal will be only available as an online edition. Therefore, the page numbers will be no longer used for citation purposes. Every article will contain citation schema with the unique article number included, which replaces pagination. In the following example the article number is 1063: Acta Soc Bot Pol. 2015;85(1):1063. Additionally, the article number will be the last part of the updated DOI pattern, e.g., the following DOI is assigned to the article number 1061: 10.5586/asbp.1061. Dear Readers. We continue to provide subsequent archival issues of ASBP journal. The digitization of archival issues is conducted with the support of the Polish Ministry of Science and Higher Education. On the cover Grasslands in the landscape of Poland. The map shows distribution of grasslands, and the photographs show different types of grasslands: sandy dry grassland with Corynephorus canescens, lowland hay meadow (Arrhenatheretalia elatioris), Molinia meadow, subalpine grassland with Nardus stricta, and seminatural dry grassland (Festuco-Brometea).